My New Dinner Hour- Hello Fresh! 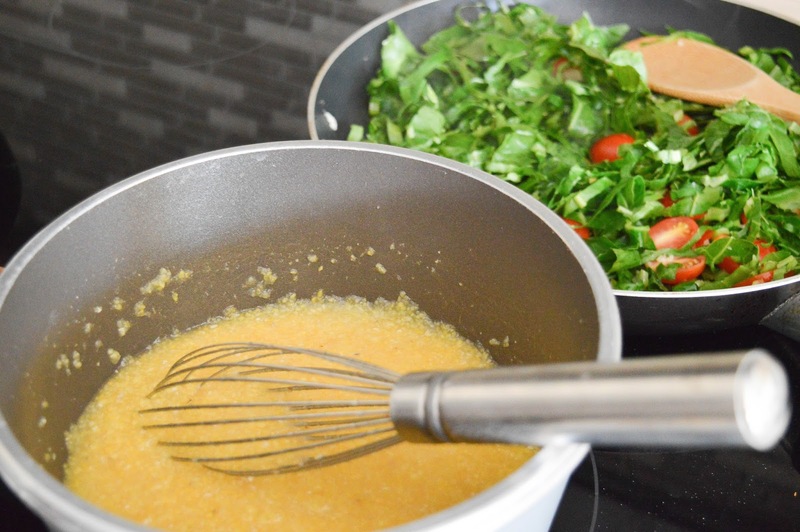 Being a busy mom it’s always a struggle to make new exciting dishes for dinner. I have been in a dinner rut lately and I finally found the answer to my problem! 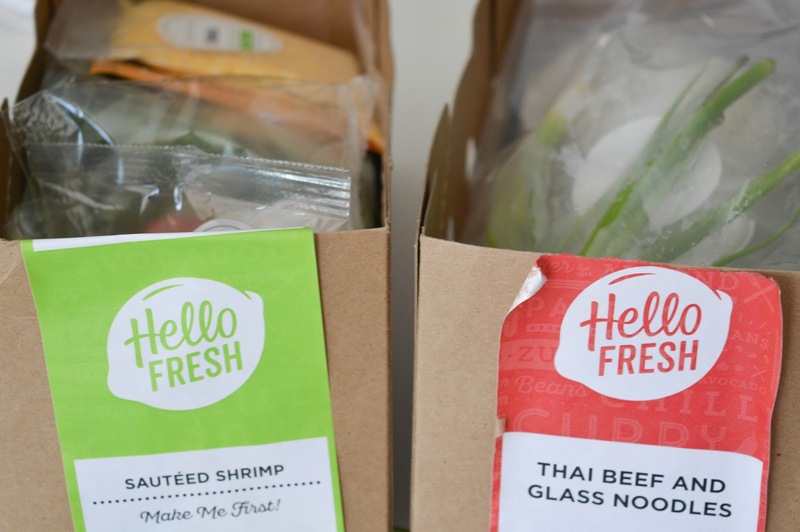 Hello Fresh is changing the way you make dinner. 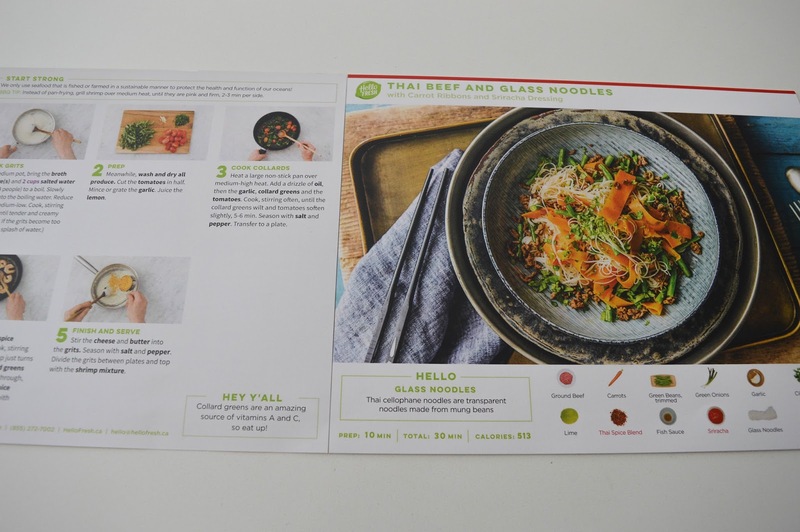 In each Hello Fresh box you will find all the ingredients to make a variety of meals. 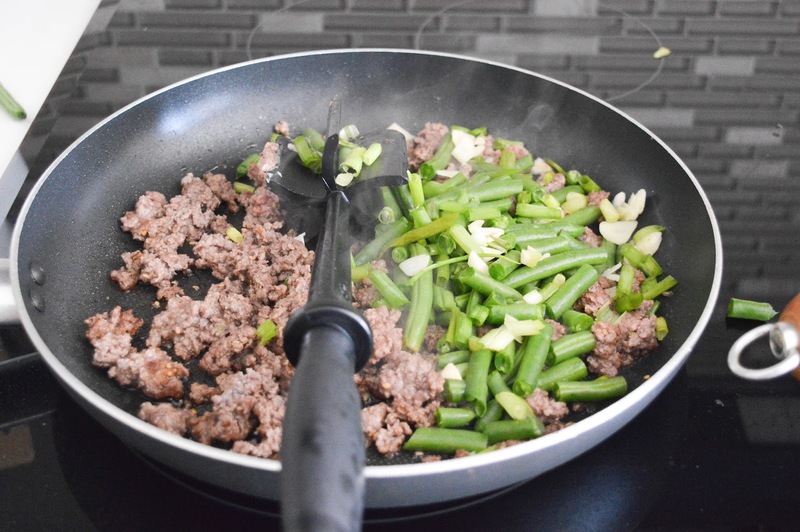 Hello Fresh includes everything you need from fresh produce, to meat, to spices, all you need to do is follow the recipe (oh yea that’s included too). I received the Pronto box that includes three meals for two people. As you can see each meal box is labeled and the box was delivered with at least ten cold freezer packs to make sure the food inside stay chilled. 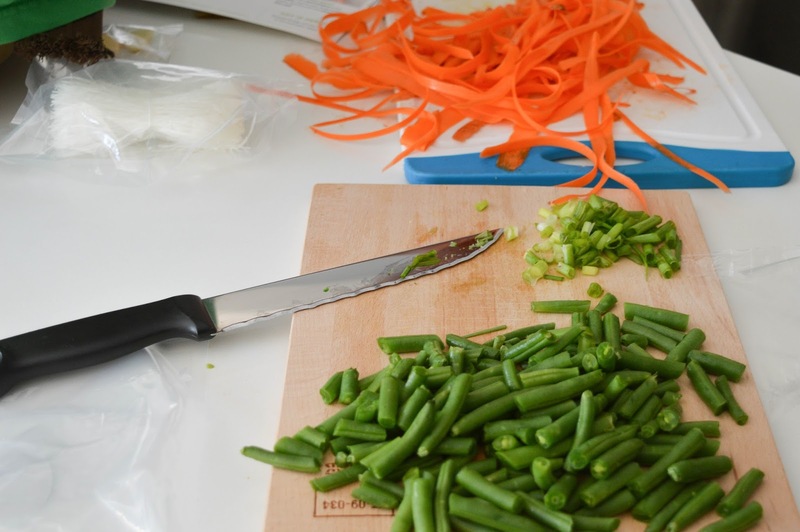 Hello Fresh does have a few different box options, from a larger size to vegetarian. 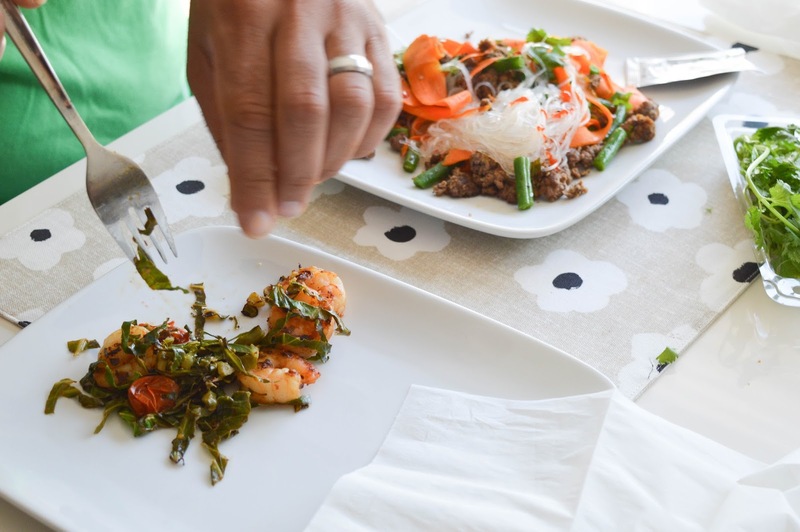 The three dishes in this box were Sauteed Cajun Shrimp with Grits and Collared Greens, Thai Beef and Glass Noodles, and Chicken Milanese. 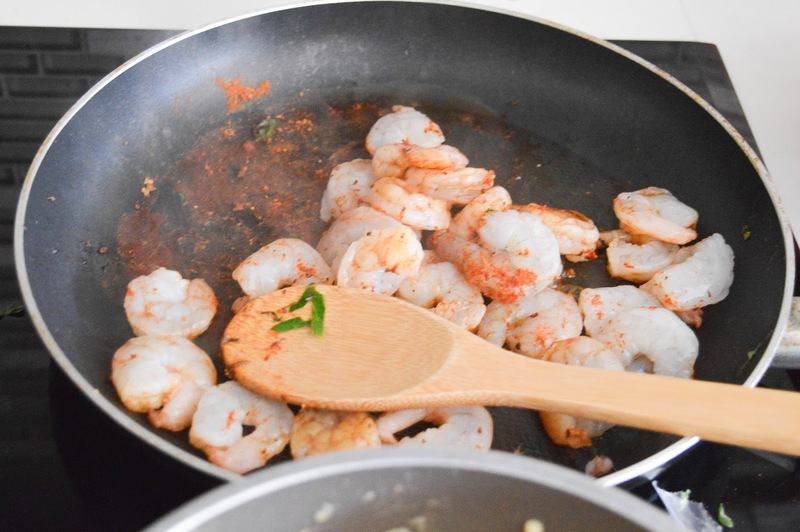 If I can follow these recipes, trust me you can too, they were super simple, but most importantly delicious! Each dish was fantastic! 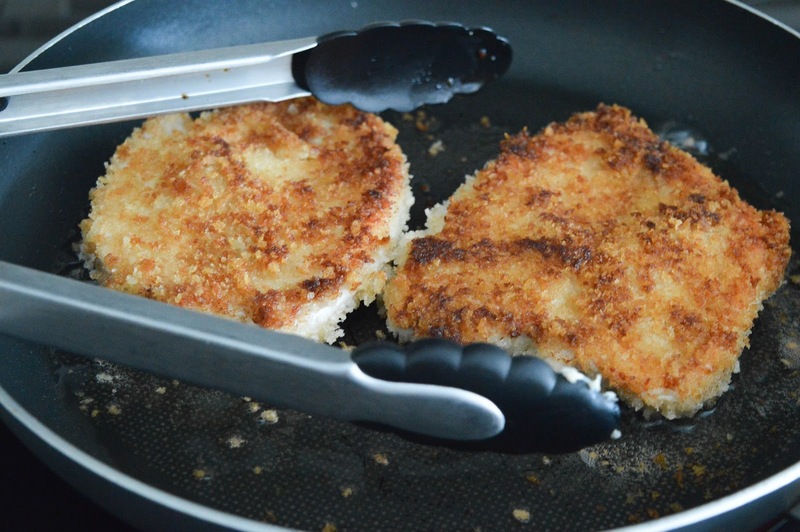 The Chicken Milanese was the clear winner in my house with my son eating most of my dish. We found that each dish was more than enough for two people. Hello Fresh definitely provides enough for two generous portion sizes. 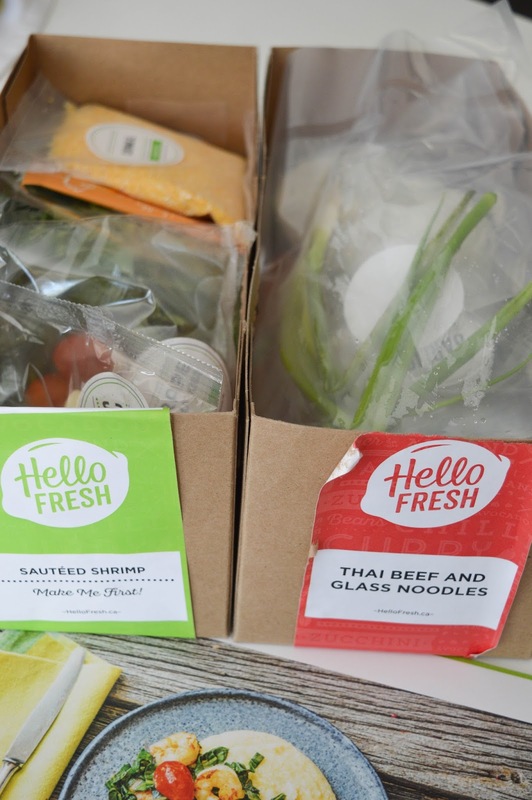 Hello Fresh is my new favourite delivery box, and I will order another one in the coming weeks. 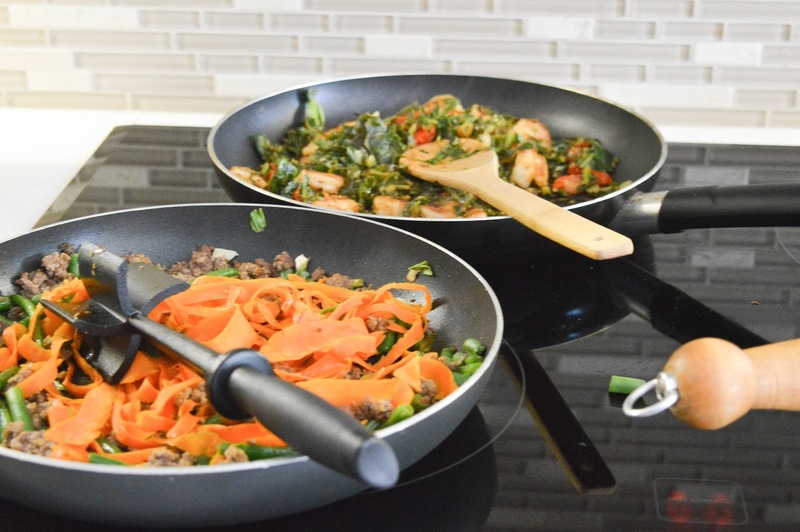 If you head to the Hello Fresh website you can see what recipes are coming soon and choose your week accordingly. 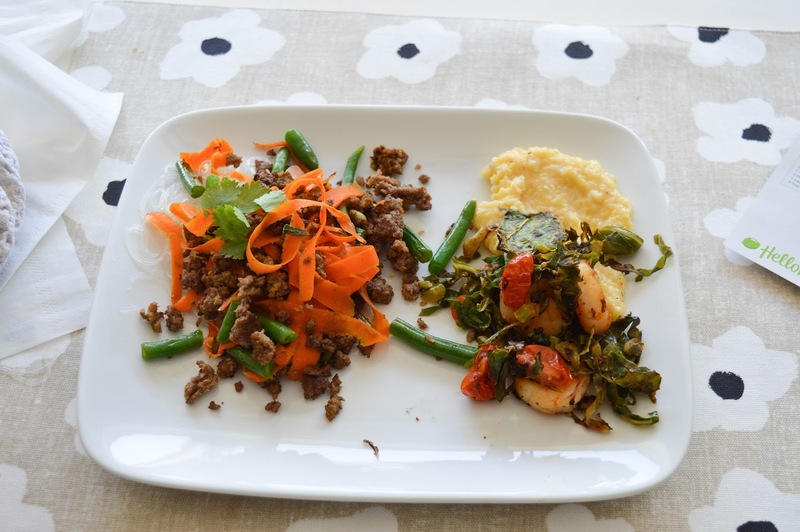 I was shocked at how easy the recipes were to make, with each one taking less than 30 minutes. 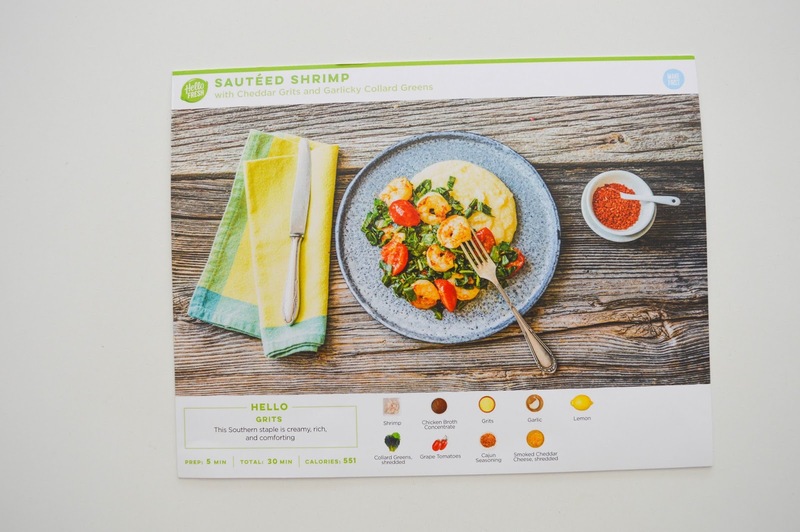 I have been telling all my friends and family about how much I enjoyed Hello Fresh. 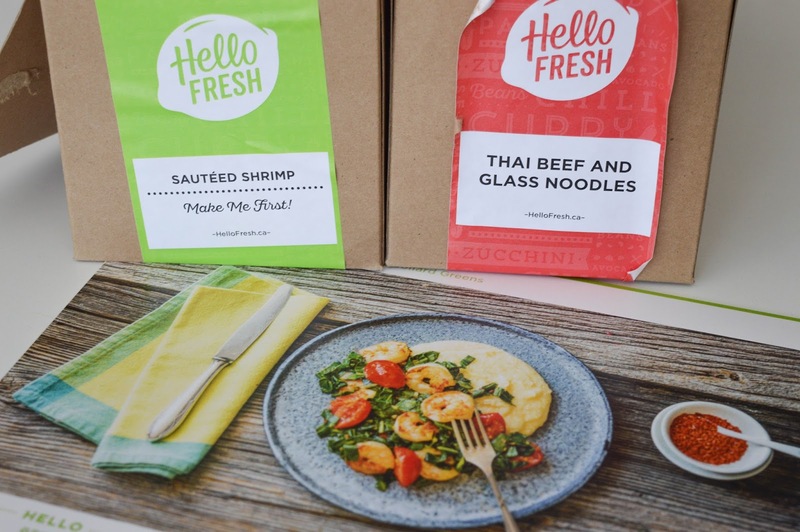 If you want to get in on the Hello Fresh dinner action head to Hello Fresh right now and use code HELLOMICH40 to get $40 off your first two boxes now. 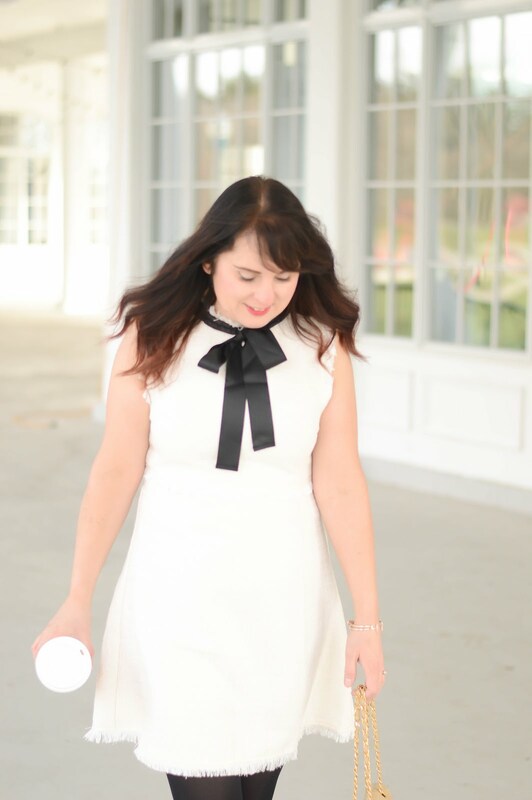 Trust me, you will LOVE Hello Fresh as much as me!